During a staff discussion, the topic of “acceptance” came up. 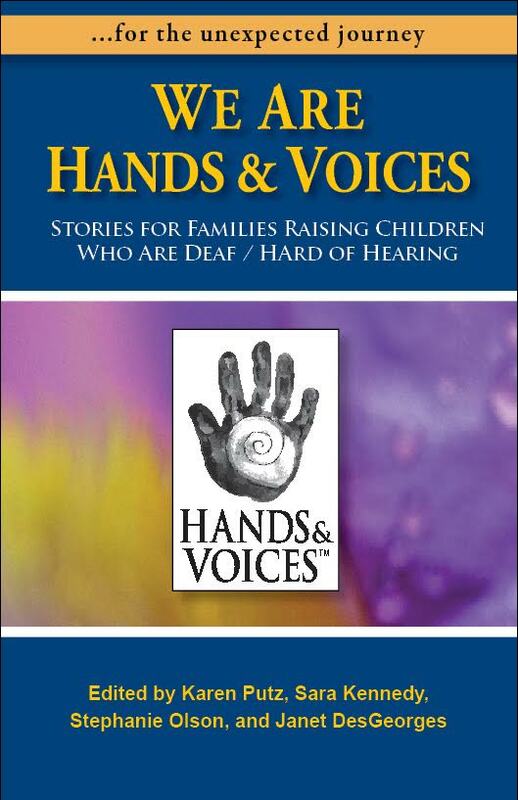 The journey of raising a child who is deaf/hard of hearing is an intensely personal one. Hands & Voices posted this question on our Facebook page. I realized that I accepted my child’s deaf/hard of hearing journey when__________________. I realized that I was given the gift of being this small human’s mommy, and God had His own plans for me with this journey. It was about a week after she was identified with bilateral severe/profound sensori-neural loss. When I was no longer angry! It took a long time to get there also, probably 7+ years. 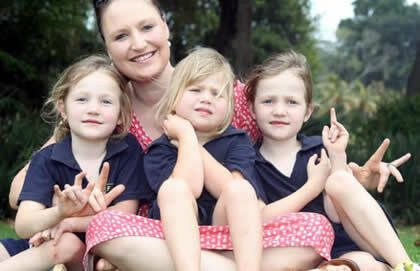 I realized that I accepted my child’s hard of hearing journey when she answered audible questions in sign language. She also has Apraxia of Speech, so her ability to form verbal words is super tough. I was young when I had my daughter 18, 19 when I found out her hearing loss. I use to blame myself, that I had done something to cause this. When I stopped blaming myself and realizing that she was extra special. We started signing when she was 5-6 months old. I accepted it, when I stopped punishing myself for it..When she was one she got implanted with cochlear implants and that’s when our real journey started. Reaching milestone after milestone. She started first grade this year! I let go of the idea of what a “normal” child should be. I accepted it immediately so that I could move forward and educate myself for my child, as denial gives no benefit to anyone. However, I have experienced several evolutions of understanding and ways of guiding my child, since there is no one resource or guide that applies to all deaf/hoh, or their attitude towards deaf culture. 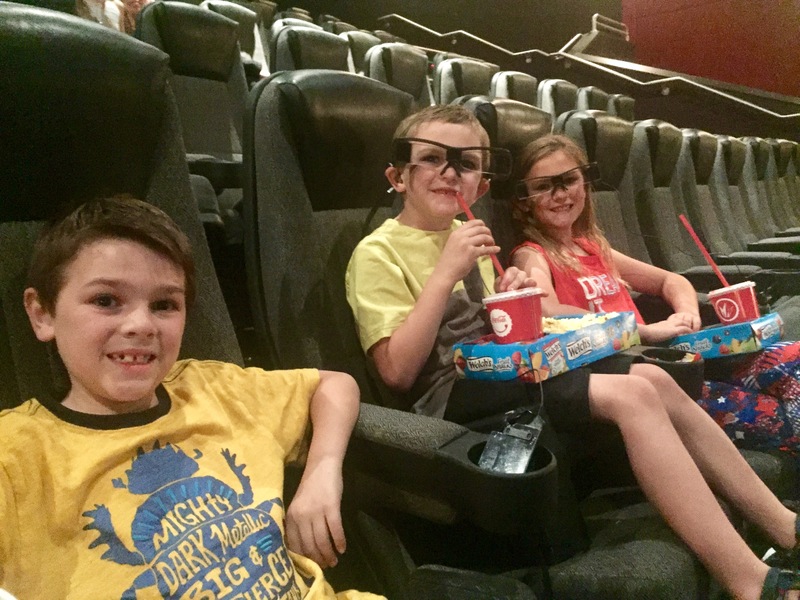 It is ALL on us as parents, that’s for sure… Educators and deaf culture can’t come together, and it is a terribly sad thing. Honestly, not sure if I have fully accepted it yet. Going on three years now. I am waiting for the day to talk about it without crying. Y’all give me hope I will one day be able to fully and truly accept it. I realized that I accepted my child’s deaf/hard of hearing journey when I had connected with parents and families, deaf adults and providers to learn from and feel supported. Transformational learning can not be done in isolation. When she became “okay” with it. She got her hearing aids in the 3rd grade and was excited. Until the 5th grade…seeing her struggle with self esteem and not socializing hurt me to the core. She is now 15…growing in self advocacy confidence is returning…she wears her aids with no problem and is beginning to make d/hoh friends thru the camps she attended this summer. When I was told she was hard of hearing. It didn’t make a difference to me. Well I have a twin brother who is profoundly deaf. My oldest son, we knew something was up around 2 months old they didn’t do newborn screen then. I accepted it right away, maybe because I grew up with it.When I was pregnant with my daughter we were prepared either way she is fine. Then there’s my 9 year old, we knew the second I found out he was a boy I knew he would have a hearing loss just not sure how bad.He was miss diagnosed 2 times before it came back moderate hearing loss.He also had severe speech delay with it my oldest never had speech problems. I realized I had accepted my child’s hard of hearing journey when I could tell our story to other parents and not cry, but smile because the journey had made us so much stronger. When I realized my strong, intelligent, beautiful girl; full of personality, can do anything anyone else can. Straight A’s and headed to the 7th grade! Proud mama. 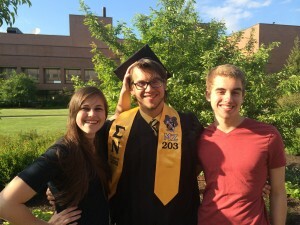 I realized that I accepted my two sons’ deaf journey when I made friends with deaf adults and learned that it was all going to work out. I now consider their deafness to be my greatest gift. I have grown in ways that I never dreamed were possible. 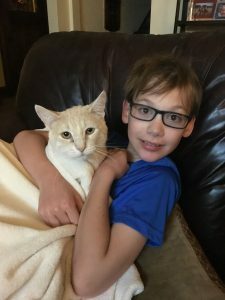 My son was diagnosed when he was three. H&V, you all are great, and helped us to understand what we were going thru. I miss you all . When my child was able to ask for help via sign language (at 10 months). My husband is partially deaf (50% without hearing aids, 80% with), so we always knew it was a possibility. For my daughter, after her hearing test at age three. She had already failed the newborn screening, and had had two inconclusive ABRs. My son was as soon as he was born. Failed his newborn screening, but does have better hearing than my daughter. I realized that God had blessed us! I realized I accepted my daughter’s Deah/HOH journey when I met and got to know happy, well-adjusted, self-confident & successful d/hh adults who were willing to share their stories & culture, and also connected with parents who were supportive & knowledgeable. This process of acceptance & honoring continues today as I get to experience her as a happy, successful, self-confident mother & professional who is bi-lingual/bi-cultural. It took me like six years to accept that he was hard of hearing and in the seventh year, my girl was born with the same problem and for me it was very hard, she is 4 years old and the boy 10. and I think I have not accepted it completely, I still wonder why? Me tomo como 6 años, aceptarque el tenia perdida de audición bilateral y al séptimo año nació mi niña con el mismo problema y para mi fue muy duro, ella tiene 4 años, y el niño, 10 años. Creo que no lo he aceptado completamente, aún me pregunto por que? He was one day old and failed two newborn hearing screenings. God gave me this beautiful little soul and made him how he saw fit. It’s my job to join him on this journey and help him any way that I can. My baby can do ANYTHING he sets his mind to. I had an official diagnosis. I could mention it to other people without breaking down and bawling my eyes out. It’s still a tough pill to swallow but it’s getting easier, but I still wonder why it happened. Now I just worry about the bullying I’m afraid he’s going to receive growing up (kids are mean). EHDI (Early intervention) did not exist when my daughter was born. That being said, once we had the diagnosis I was relieved, but not surprised as there is a history of deafness in our family. We charged onward. My daughter is very strong, independent, proud, beautiful Deaf woman who dreams big! I realized it when I began to meet other families with children who were both deaf and hard of hearing. Seeing how “normal” they were and how they did everything else hearing children do. Once I let go of feeling embarrassed, to be open about it. I’m so proud of my deaf daughter. I love educating people who ask me. It makes me feel empowered and honored to be her mama. Plus, I’ve met the most amazing families along this journey and when I think about if it weren’t for my daughter I might not know any of them…wow. I am so lucky! Right before our appointment where the audiologist confirmed hearing loss… (12.5 months) after 12 months and roughly 6 audiology visits, two ENT visits, and starting Early start a couple months prior, I realized how sad I would be if she was determined to have normal levels and we would be kicked out of the program we loved so much with all of our DHH infant friends. Def made it easier to face the other challenges that came our way. I don’t know. When she got accepted to Gallaudet? Seriously though, about a week after diagnosis. I come from a family peppered with Deaf people. I knew the old realities, but man, so much has changed. 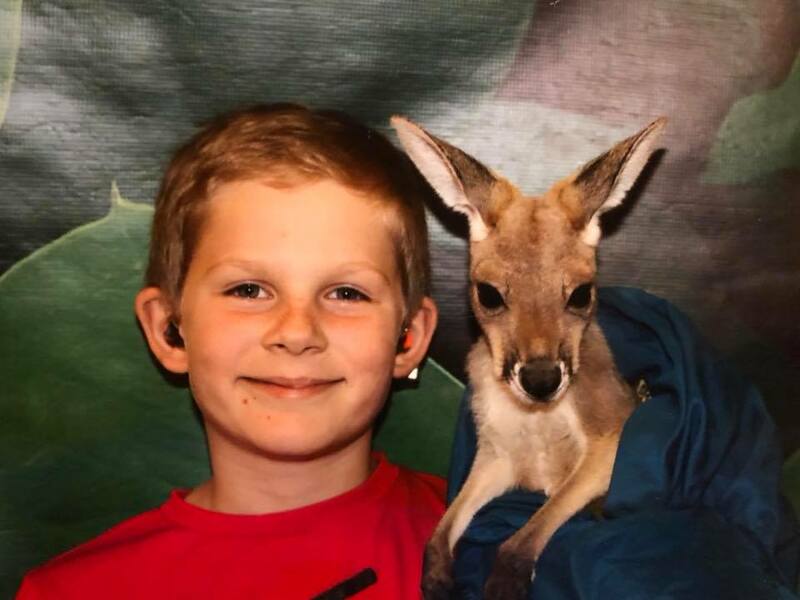 I realized that I accepted my son’s hard of hearing journey when he began to wear his hearing aids without being asked to. When he began to realize he needed them, I knew it was a real deal! …when others’ lack of acceptance becomes your moment of acceptance!! I went to my first Michigan Hands and Voices conference and met so many others from infancy to adults who thrive each day. I knew that my son thrives in his own way. Maria Renninger recalls seeing the word “refer” flash on the screen after her baby girl’s hearing screening hours after birth, and wondered what it meant. “Refer to what? The operating manual?” She found herself wishing for an operating manual many times during her early years as a new mom and on her unexpected journey raising a child who is deaf or hard of hearing. 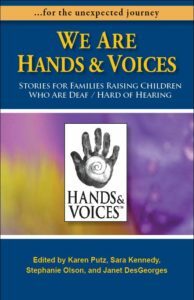 This is just one of the 26 personal reflections shared in a new book by Hands & Voices, We Are Hands & Voices: Stories for Families Raising Children Who Are Deaf/Hard of Hearing, from moms and dads raising children who are deaf or hard of hearing, with a few insights from young people finding their way, and six gems from women who are Deaf or hard of hearing themselves. “It wasn’t cheating, it was playing fair,” notes Stephanie Olson, when her sister and brother signaled her how to get to home base during nighttime games in her neighborhood, in the darkness only imaginable far from city lights. Over time, hearing parents learn much from their children and from adults who have hearing differences that begin to shed light on what daily life is like, and CAN be like, when we begin to experience the world as our children do. Playing fair means understanding access and appreciating differences. Knowing that there is no better way to connect than the art of story, four experienced moms (Karen Putz, Stephanie Olson, Janet Des Georges and Sara Kennedy) put this book together to shed light on the journey and to celebrate our children, who teach us again and again that “the little things are not little at all,” just as author and mom Bianca Birdsey says about raising her daughters who are deaf in South Africa in her story.